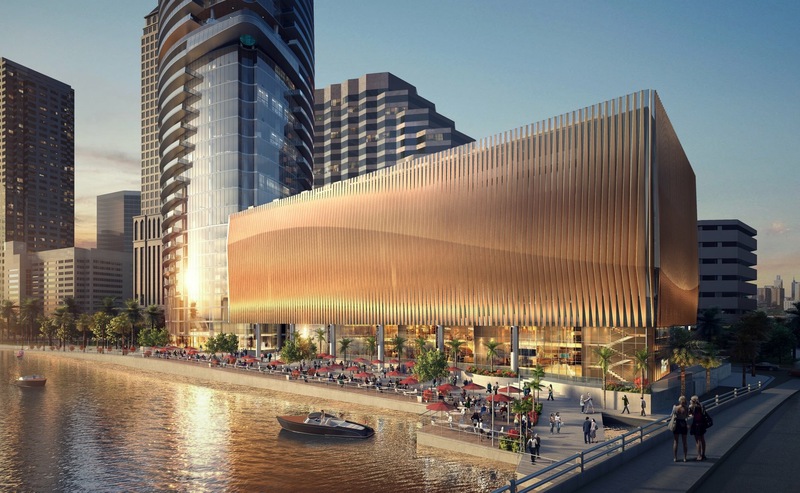 Developers of Riverwalk Place in downtown Tampa today released new renderings of the office, retail and residential tower, which will become the tallest building on the west coast of Florida. 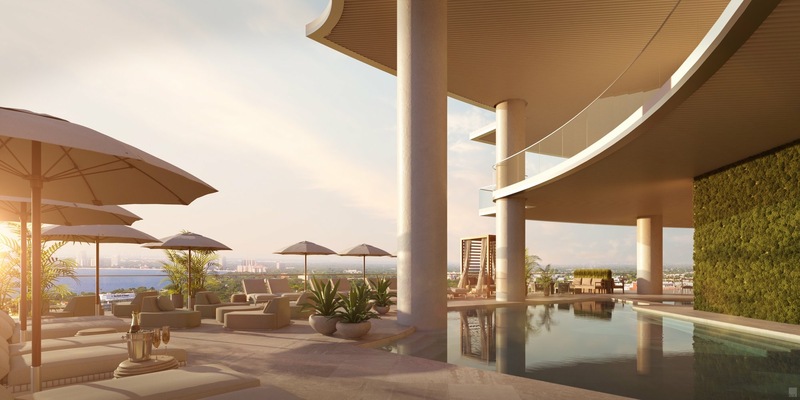 Preview images include views of the private residential lobby, a row of restaurants on the Riverwalk, and close-ups of a dramatic outdoor Sky Deck and pool on the 20th floor. New images come just a month before sales officially open for condominiums that will reach to the 50th floor and higher. 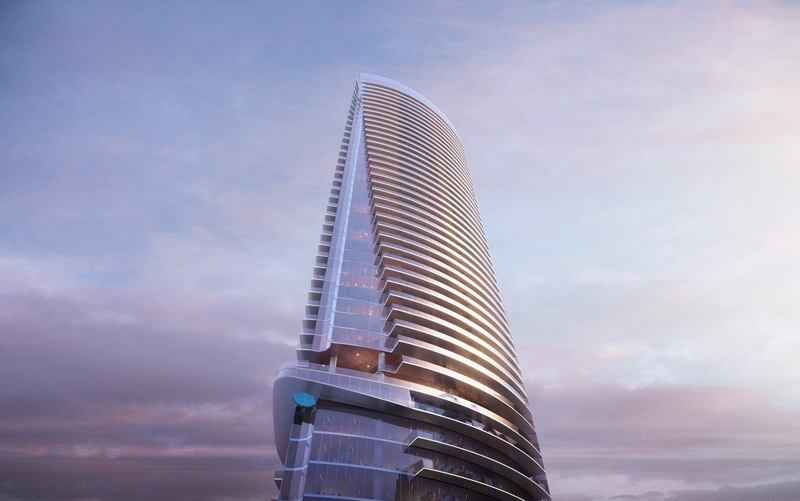 Many buyers have already placed deposits to reserve their future homes in the sky. Just as Gensler has designed a sleek and modern exterior, Boren said, Thom Filicia has created luxurious interiors that are contemporary and livable for residents. The developers have recently installed a highly realistic, scale model of the tower in the Sales Center on the ground floor of the Wells Fargo Center building in downtown. The development team plans to formally open the Sales Center this October and begin construction in the first half of 2019. The tower will rise at the intersection of Ashley Drive South and Whiting Street West and will feature five restaurants along the Riverwalk, 10 floors of office space, a two-story amenity Sky Deck on the 20th and 21st floors, and more than 30 floors comprising 200-plus luxury condominiums. “Demand this strong shows that downtown Tampa is flourishing into a 24/7 work, live and play community,” Boren said. 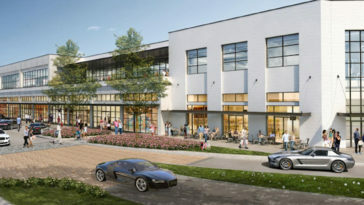 The development team recently announced that celebrity designer Thom Filicia is designing much of the project’s interior. That includes the look and feel of the residential entrances, lobby, condominium floor plans, residential fixtures, and Sky Deck on the 20th floor overlooking the Bay. Smith & Associates Real Estate of Tampa Bay is the exclusive listing agent on the project. The realty team is booking appointments for private presentations at the Sales Center in the base of the Wells Fargo Center building across from the Riverwalk Place construction site.